Good morning, I thoroughly enjoy your blogs, but this morning’s note touched my heart. 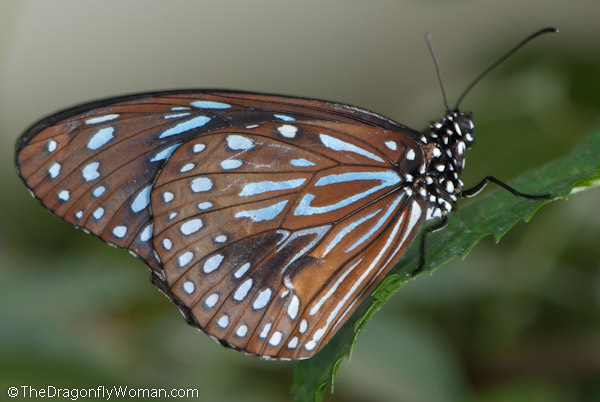 I am a docent at our local butterfly house in Navarre, Florida. I love seeing pictures of butterflies from other parts of the country. It warms my heart to hear someone besides fellow docents get excited about seeing a butterfly emerge from a chrysalis. 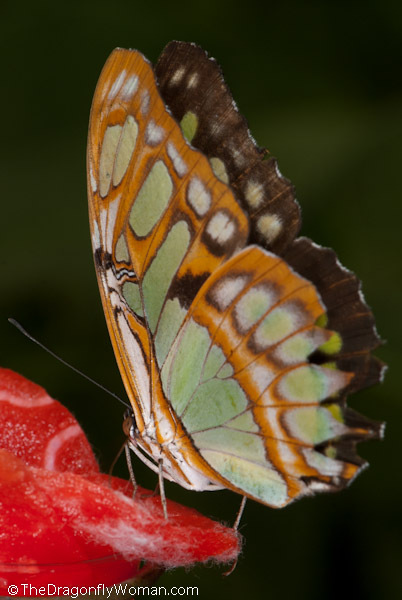 The Panhandle Butterfly House is open from April until Labor Day. Should you pass our way, I would love for you to stop by. I’m so happy to hear that you’re a docent! I love docents at exhibits like this, especially when they’re volunteers. That ensures that the people who are actually taking the time out of their day to help out with the exhibit are people who truly want to be there. Go you! And how can people NOT be excited about watching a butterfly emerge? It’s magical! If I happen to be in your part of the country before Labor Day (and I might actually be coming to Florida! ), I’ll be sure to stop by. How much fun was that!! I want to go! It was fun! And if you happen to be in Tucson, you should definitely stop by. 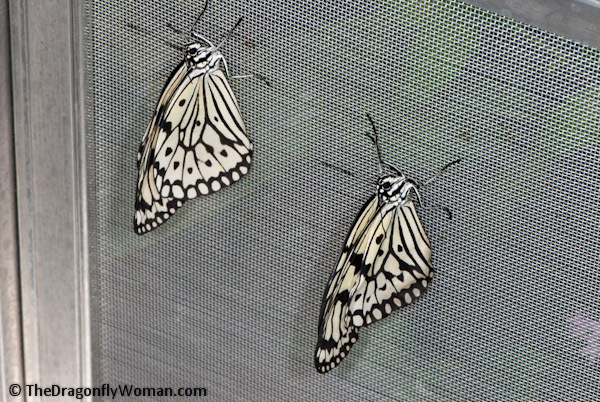 There are probably opportunities for you to go to a butterfly house like this closer to you though. If you’ve got a local zoo or a botanical garden, you might want to see if they have one! Oh, I want to go to there! Nope, this spring break I’m planning to visit some friends here in the Midwest. I do get to see Greater Prairie Chickens lekking during my spring break, as well, so there will be some wildlife goodness involved! Fun! That’s probably better than seeing butterflies in a greenhouse. Enjoy! I once visited a Butterfly Garden at the Portland Zoon while visiting my brother, who lives there, and one butterfly landed on my nose. It was so cool! Nice! I apparently had a blue morpho riding around on my head while I was in the exhibit over the weekend. I didn’t feel it or see it, but three different people told me about it before it flew away. The white stuff on the proboscis is pollen. 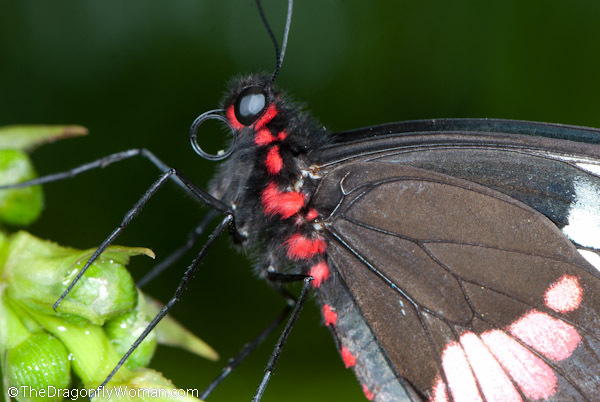 Heliconius butterflies dissolve amino acids from pollen by munching on it with their proboscis. 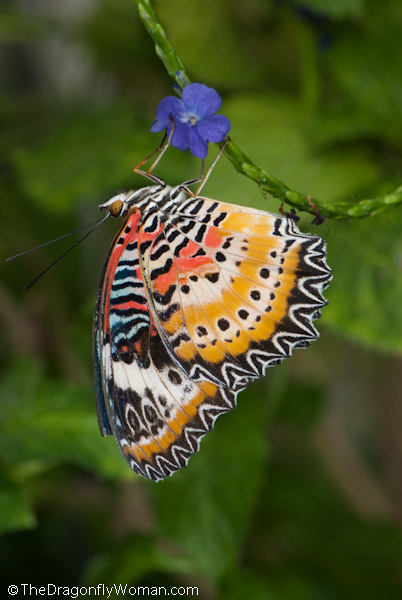 This behavior is quite unusual in butterflies. 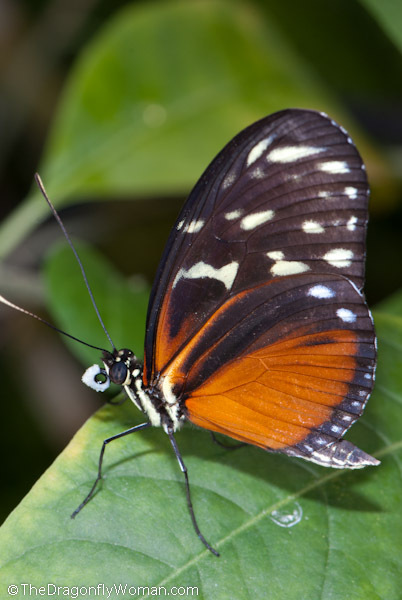 There are more details about this on the Heliconius Tree of Life Page. My giant water beetle is still doing fine by the way. I have since determined that it is a female, since she laid eggs. Sadly, I did not have a male for anything to happen there, but the crayfish got a nice snack. I’m glad you like it! Also glad to hear your water bug is doing well. Hope you’re still enjoying her! Hope you have a chance to! That would be so fun!